There are 40 Assisted Living Facilities in the Carrollton area, with 6 in Carrollton and 34 nearby. The average cost of assisted living in Carrollton is $3,787 per month. This is higher than the national median of $3,346. Cheaper nearby regions include Coppell with an average starting cost of $3,175. To help you with your search, browse the 216 reviews below for assisted living facilities in Carrollton. On average, consumers rate assisted living in Carrollton 4.2 out of 5 stars. Better rated regions include Richardson with an average rating of 4.5 out of 5 stars. Caring.com has helped thousands of families find high-quality senior care. To speak with one of our Family Advisors about assisted living options and costs in Carrollton, call (855) 863-8283. Family-friendly Carrollton, Texas, with abundant parks and safe neighborhoods, is a popular town for retirees. Carrollton itself boasts six assisted living facilities, with 57 others in the surrounding suburbs. 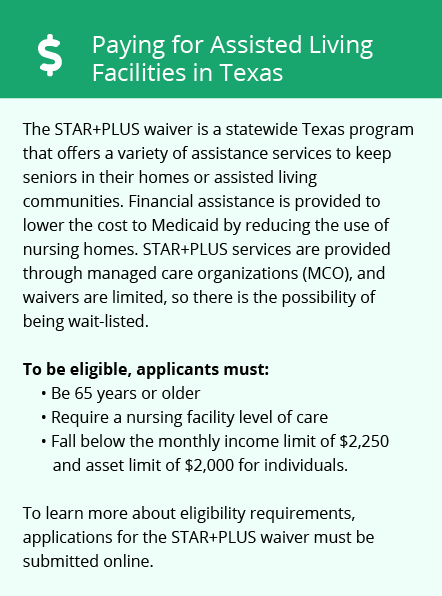 Texas assisted living facilities are regulated by the Department of Health and Human Services. Two levels of care facilities are licensed based on residents' ability to evacuate the facility in an emergency and the amount of staff supervision, especially overnight, that they require. Type A facilities are for those with some level of independence and ability to evacuate in an emergency. Type B houses residents who need around-the-clock supervision and staff assistance in case of an emergency evacuation. North Texas climate consists of mild winters with rare snow and long, hot summers. Seniors who find comfort from warm, dry air will enjoy living in Carrollton. The cost of living in Carrollton is 104.2, based on a US average of 100. Healthcare expenses are on par with the national average - seniors with chronic health conditions should take note. Grocery cost is slightly lower than the national average. The crime rate in Carrollton is lower than the national average. Carrollton's violent crime is about two-thirds of the U.S. average; property crime is on par with the national average. Much of the property crime in Carrollton is car break-ins and petty theft, which shouldn't affect many seniors in assisted living communities. Carrollton residents have several options for public transportation, with three DART rail stations and several bus stations in the town. The Dallas Area Regional Transit system offers reduced rates for seniors. Those with VA benefits or a qualifying disability may also receive the free service. The Carrollton area is home to world-class medical facilities, including Texas Health Hospital and Baylor, Scott, and White hospital branches, in the event of medical emergencies or illness. Carrollton, a suburb of Dallas is a member of the AARP Network of Age-Friendly Communities, meaning that its elected leadership “has made the commitment to actively work toward making their town, city or county a great place for people of all ages,” according to AARP. Assisted Living costs in Carrollton start around $3,787 per month on average, while the nationwide average cost of assisted living is $4,000 per month, according to the latest figures from Genworth’s Cost of Care Survey. It’s important to note that assisted living rates in Carrollton and the surrounding suburbs can vary widely based on factors such as location, the level of care needed, apartment size and the types of amenities offered at each community. The Texas Department of Health and Human Services can help seniors find assisted living homes in Carrollton, Texas, within their budget and that provide the level of care they require. Those with Medicaid, Medicare or SSI income, may be eligible for assisted living financing. 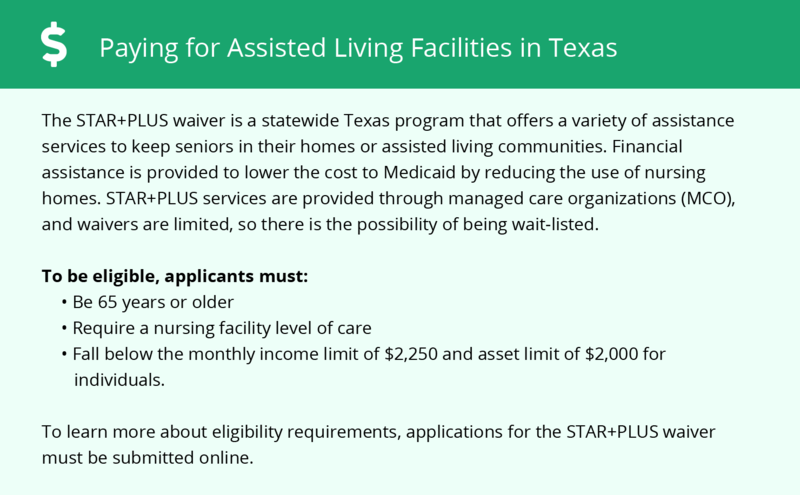 The STAR+PLUS serves specific areas of the state, providing an alternative to nursing facility placement and covering the cost of assisted living. To see a list of free assisted living resources in Carrollton, please visit our Assisted Living in Texas page. Carrollton-area assisted living communities must adhere to the comprehensive set of state laws and regulations that all assisted living communities in Texas are required to follow. Visit our Assisted Living in Texas page for more information about these laws.